Rear seat hinge pin "upgrade"
K100-forum.com » Technical, repair and troubleshooting » Frame, fairing and wheels » Rear seat hinge pin "upgrade"
This is handy for making seat removal/installation faster and easier. 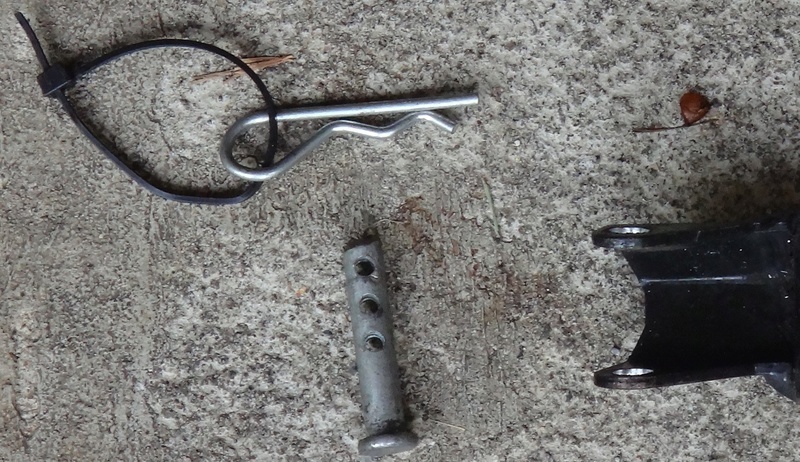 1/4" clevis pin with a hairpin style cotter pin and a small zip-tie to make it easy to remove. In the US it's hard to find a 6mm clevis pin so I use 1/4" and have to enlarge the holes in the seat bar and hinge with a 1/4" drill but if you live in metric land you could probably use a 6mm clevis pin and not have to drill anything. BRILLIANT!!! I've lost track of all the C clips I have lost down that hole under the hinge pin. I've done the same, minus the cable tie. 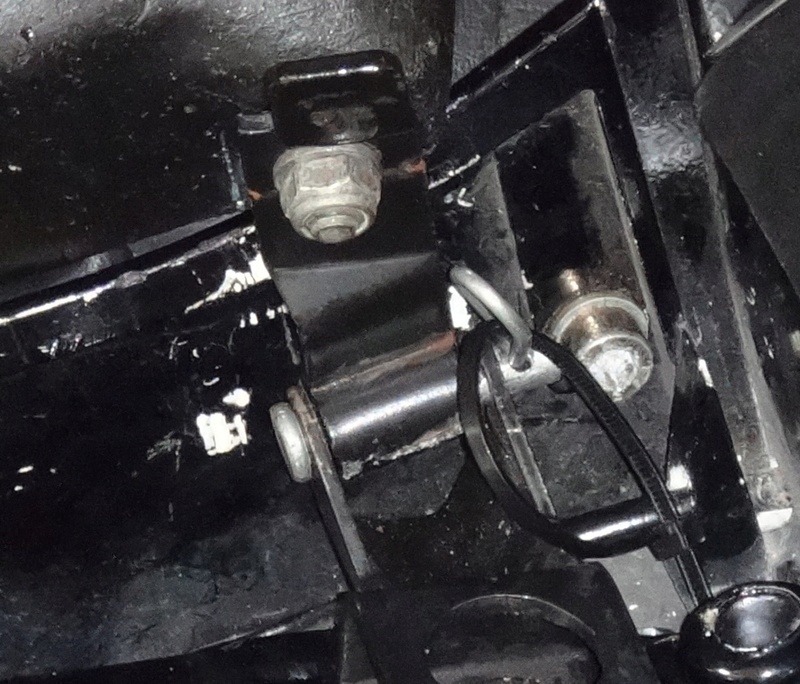 I have a piece of bent wire velcroed under the seat which I use for the tank clips and the seat clevis clips. Another Bricker has gone a step further and has long skinny cable ties on his tank clips. If you could use white cable ties... even better. ainsjac wrote: If you could use white cable ties... even better. Sacrilege! Only black zip-ties on my bikes. Jeez ainsjac, you're a stirrer!